James is the current bookmakers’ favourite to be the name of the Duke and Duchess of Cambridge's baby if the little one is a boy. James is the current bookmakers’ favourite to be the name of the royal baby if the little one is a boy. 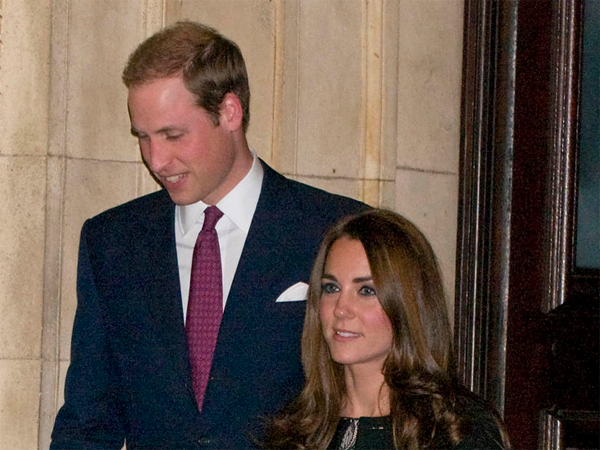 The moniker's odds with bookies Ladbrokes have been shortened from 20/1 to 6/1 in recent weeks which has sparked speculation Britain's Duke and Duchess of Cambridge might call their impending new arrival, who’s due tomorrow, Prince James of Cambridge. The company will pay out winnings of around £30 000 (R450 000) if James is the chosen name for the royal baby, and a chunk of that will go to one London-based customer who placed £200 (R3 000) on James being the moniker. Jessica Bridge of Ladbrokes said, "This is the first major gamble we've had on a boy's name and with just days to go we're taking it very seriously." Despite the flurry of activity for James, the bookies still believe the couple ? who requested not to find out the gender of their child ? will have a girl. Alexandra and Victoria are the joint favourites at 4/1, while Charlotte (6/1) and Elizabeth (8/1) are also popular choices with punters.